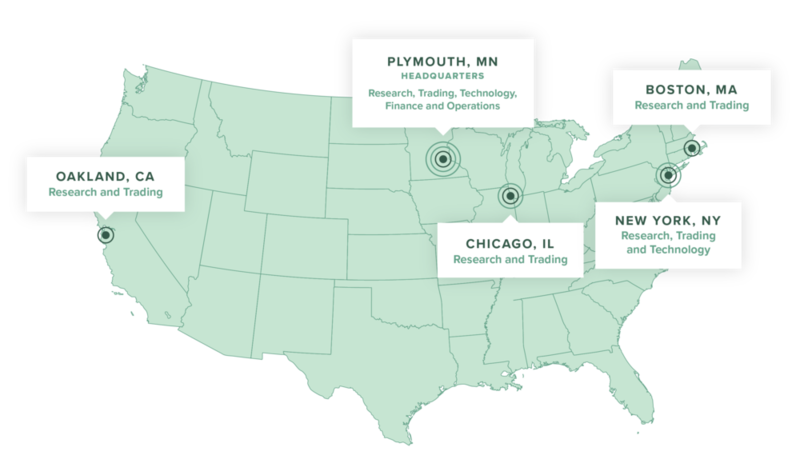 Walleye Trading Advisors (“Walleye”) is an established, technology driven investment advisor consisting of approximately 100 individuals in research, trading, software engineering, operations, administrative, and compliance functions. Walleye was established in 2005 by five partners to manage an electronic and floor-based options market making operation. Over time, the firm has added numerous business units and strategies, hiring experienced traders and developing quantitative models to complement and interact with its traditional market making business. The core tenet of Walleye’s investment business is the ability of the firm’s leaders to identify high performing strategies and utilize world class technology to understand how the amalgamation of different return streams impacts risk. Walleye has always endeavored to build a best-in-class technology platform. All strategies are supported by a custom-built database engine and automated trading platform, managed by a highly skilled development team. Supporting every aspect of the system is Deephaven Data Labs, a proprietary database technology and language, which was originally built to accommodate the enormous data challenges posed by modern equity options market making.